Back in May I took a soy candlemaking workshop at Brooklyn Candle Studio, which I highly recommend if you live in NYC and have any interest in candlemaking. 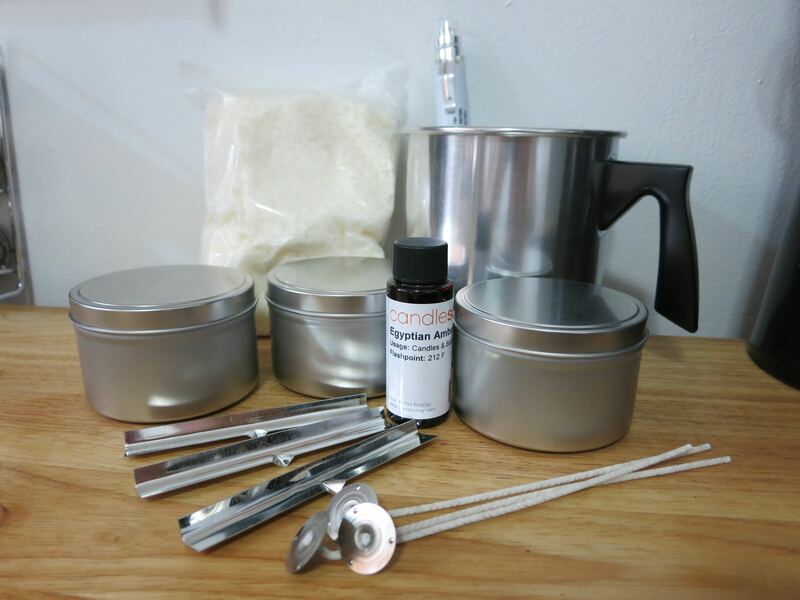 Before the workshop I had started looking into soy candlemaking kits because I definitely wanted to try this at home; I found kits on Grow and Make—the same folks from whom I got my lip balm kit—and a whole mess of kits on Amazon. One of many important things I learned in the workshop is that wicks come in different sizes—diameter as well as length. 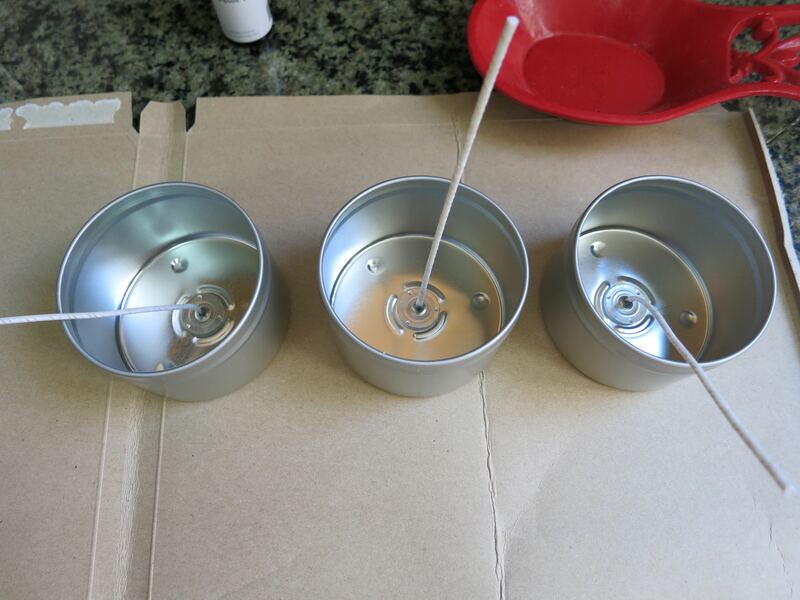 The wick diameter needed depends on the type of wax you’re using and the size of the container; if you put a wick that’s too thin in a large container it won’t work properly (that’s what she said). CandleScience has a great wick guide you can refer to when choosing your wicks. In addition to the kit’s materials, I ordered wooden spoons to use as dedicated wax stirring utensils. I didn’t get around to opening the candlemaking kit until recently because of our move and Comic-Con trip. Of course, when I got around to making my first candles I had to document the process with photos so that I could post about it here! Materials to make my first three soy candles! Before I got started with making my first three candles I set up a work space by covering the kitchen counter with cardboard, in case of spills. The kit instructions recommended working in an area with a consistent room temperature, noting that 68°F to 74°F works best. My kitchen is a little warmer than that, but I turned on all our air conditioners while I worked to try to keep it as cool as possible. I also kept a bottle of rubbing alcohol nearby for cleaning the supplies once I finished because the instructions said to use an alcohol-dampened paper towel to wipe wax away while it’s still warm. I filled a medium saucepan one third of the way with tap water and set it on a burner. Then I poured one 1 lb bag of soy wax into the pouring pitcher, set the pitcher in the water-filled saucepan, and turned the burner on medium low heat for some double boiler action. These flakes will become candles. It’s magic! Ready for some hot wax. As the wax melted, I gently stirred it with a wooden spoon and kept an eye on the temperature until it reached 185°F. 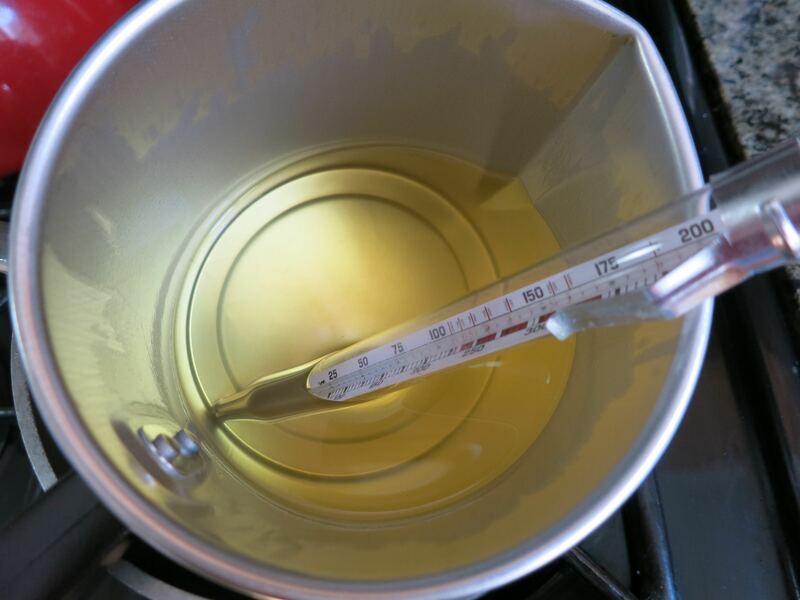 Temperature is an important element in the candlemaking process; wax needs to be an optimal temp for the fragrance oil to bind to it (I’ll explain a bit more later). When the temperature reached 185°F, I poured one 1 oz. bottle** of Egyptian Amber fragrance oil into the melted wax and took the pitcher off the heat. I stirred the mixture for one to two minutes, then set the pitcher aside and allowed it to cool to 135°F. (Again, temp is important here!) When the temperature cooled to 135°F I poured the wax into the tin containers, filling them to a quarter inch from the top. Then I set a wick bar on top of each tin, pulled the wick tightly, and pressed the wick into the wick bar opening to keep it centered while the candle hardened. No one likes a candle with an off-center wick! The wax began to harden and turn opaque within an hour or two, but the instructions said to allow the candles to harden overnight. The next day, I removed the wick bars and trimmed the wicks to about a quarter inch and stuck a warning label to the bottom (Safety First!). 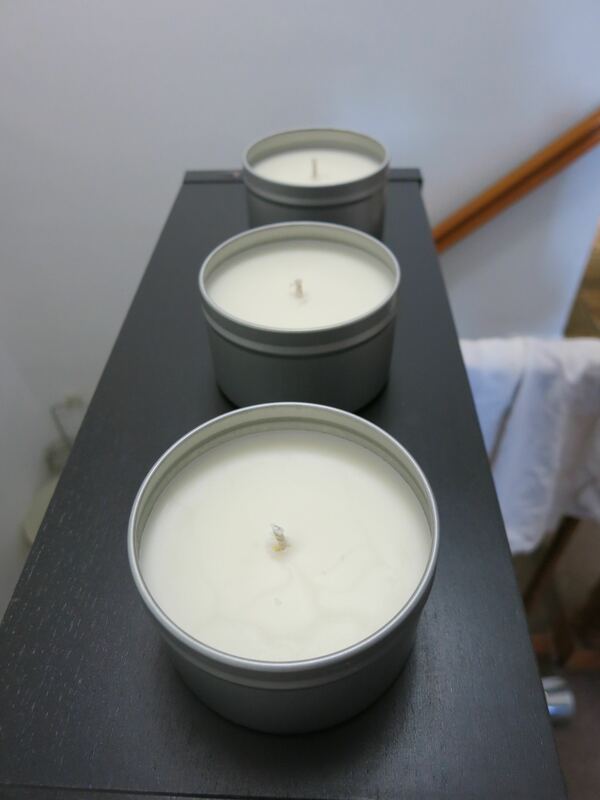 Voilà: three beautiful Egyptian Amber soy candles, handmade by moi! 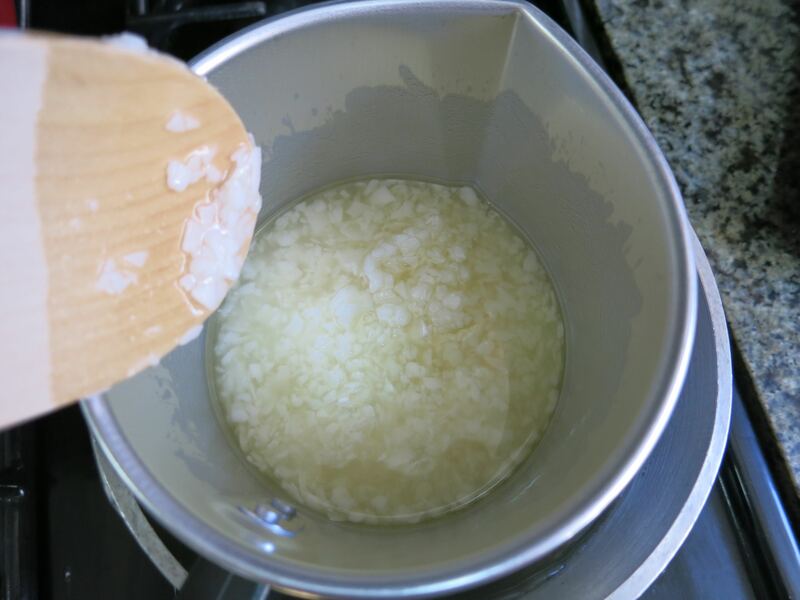 Different types of wax have different recommended temperatures at which you perform the steps of the candlemaking process, so do be aware that the directions I’ve listed here will probably not make for a good throw unless you’re using 464 soy wax. Curing explains why I made my Egyptian Amber candles six days ago but have NOT lit any of them yet—the BCS workbook says that soy candles should be cured for 48 hours to three weeks, rather than the 24 hours listed in my kit’s instructions. So, I’m getting some quality patience practice in. 🙂 I also made three Vanilla candles a couple days ago, which made the apartment smell like cookies, and I’ll make the Grapefruit + Mangosteen and Lavender candles from my kit in the next week. The grand total? $85.10. Obviously the kit is best for beginners! So far I’m really enjoying candlemaking and am very glad I’ve given it a try! These candles are going to make great gifts (for others and for myself 😛 ). Candlemaking is a hobby I can see sticking with for quite some time. 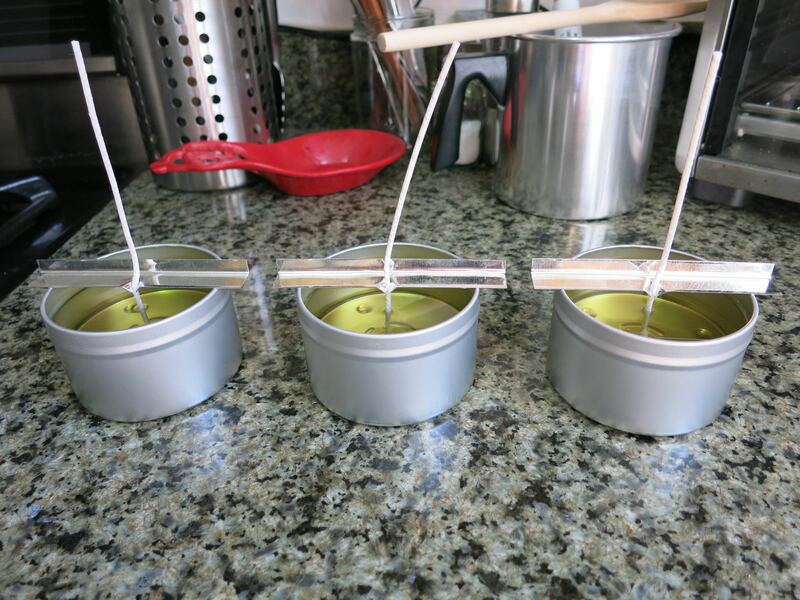 Have you ever made your own candles? What are your favorite candlemaking supply stores? *If you don’t have wick stickums, a dab of glue from a glue gun will work too. 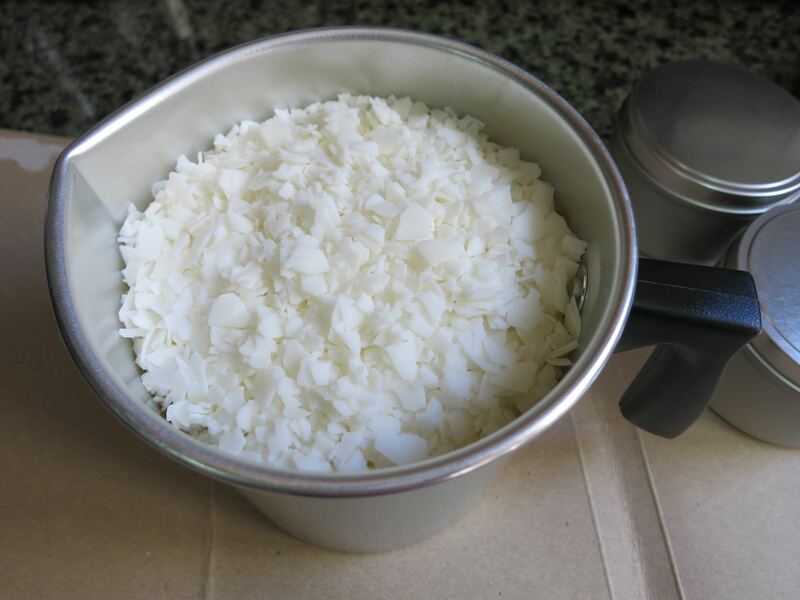 **The recommended fragrance oil to soy wax ratio is one to one and half ounces of oil per pound of wax.